There is so much information out there about how to run your business. This is terrific but can be a bit overwhelming. Besides, who has the time to sift through it all. Keep a notebook or your tablet near you at all times. 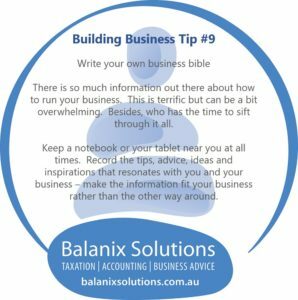 Record the tips, advice, ideas and inspirations that resonates with you and your business – make the information fit your business rather than the other way around.